Refusing a chemical test has serious consequences and you should not wait to contact an experienced DUI attorney. A minimum of a 1-year suspension is imposed on DUI drivers that refuse a chemical test after an officer request a test be conducted. Therefore, when you need serious help for your DUI refusal, contact us for a free consultation. What is a DUI Refusal? California has an “implied consent” law, which states any person who drives a motor vehicle and is lawfully arrested for driving while under the influence of alcohol must submit to a chemical test when a police officer requests. This means that you must consent to a breath or blood test if the officer requests you to do so. If neither blood nor breath tests are available, then a urine test is required. By accepting a California driver’s license, the driver agrees to submit to testing if an officer suspects the driver is driving under the influence of alcohol, drugs, or both. Many drivers mistakenly believe if they refuse to take a chemical test they can avoid a drunk driving arrest. Unfortunately, the decision to refuse a breathalyzer or blood test can lead to devastating consequences. In almost all cases, the police officer will arrest the individual that refuses a chemical test and will recommend to the district attorney that drunk driving charges be filed. If the driver refuses to submit to a breath or blood test, or fails to complete the test, after a peace officer requests the driver to do so, the driver not only faces the loss of his or her driving privileges, but will likely be arrested and convicted of a DUI as well. There are jury instructions that specifically address refusals and as a client facing a drunk driving refusal may have a very difficult time overcoming these instructions at trial. Along with an automatic license suspension, a refusal may result in even more penalties in court than if the driver had consented to the test. Further, any driver who refuses or fails to complete the test will have a one year suspension. As the law stands now, it is unclear whether a driver will lose his license by refusing the Preliminary Screening Device Test, but the ever changing laws will likely correct this loophole in the future. By refusing to take an evidentiary test, you are invited unwanted attention to a drunk driving case. By having the enhancements added to a criminal complaint makes it even more difficult to defend. The best way to defend against a refusal is contact an attorney as soon as possible to decide if the refusal was actually a refusal under the law. If you fail to consent to a test, the Supreme Court recently found police must obtain a warrant before forcing a blood draw. 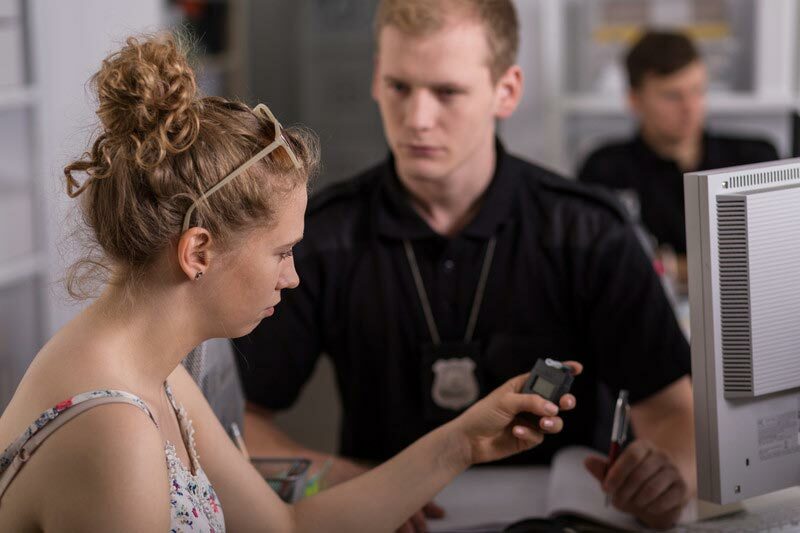 The Court held that nonconsensual warrantless blood draw violates a person’s right to be free from unreasonable searches and seizures under the Fourth Amendment. The Court decision does not invalidate the implied consent laws, and if officers wants to rely solely on the refusal, they may still do so. If, however, a forced blood draw is taken, a warrant must be obtained. The officer must attempt to obtain a warrant, unless exigent circumstance, which means there was no time to obtain a warrant. If the officer is unable to obtain a warrant, the officer must explain clearly and concisely all the steps that were taken to procure a warrant and the reasons why a search warrant was not be obtained. In the warrant, the officer must be able to articulate the facts that were present that created the exigent circumstances to have an exception to the warrant requirement. In Fresno, law enforcement officers are not having any trouble obtaining warrants from the Fresno judges. Refusing should not be considered because the consequences outweigh any rewards. DMV Consequences After A DUI Refusal. The DMV consequences are more serious when you refuse a chemical test. DMV will suspend your driver’s license for at least one year if you are found to refuse any chemical test. Did the officer have probable cause to stop the driver’s vehicle? Did the officer lawfully arrest you? Were you operating a motor vehicle with .08 or more by weight of alcohol in your blood? If you are under 21, on probation, or driving a commercial vehicle, the alcohol level will change. Were you told that a refusal to submit to or failure to complete a chemical test would result in a one year license suspension? Did you refuse to submit to or fail to complete a blood or breath test after being asked to do so by an officer? A minimum of a 1-year suspension is imposed on DUI drivers that refuse a chemical test after an officer request a test be conducted. You have the right to request a hearing from the DMV within 10 days of receipt of the suspension or revocation order. An Administrative Per Se Hearing (APS) or DMV hearing will be conducted if you requested the hearing. You also have an absolute right to a DUI lawyer to represent you at the DMV hearing. Failure to contact the local Driver Safety Office within 10 days will result in a driver’s license suspension or revocation for at least one year. If you are unable contact an experienced DUI attorney within 10 days, please see our Request for DMV Hearing form. When requesting a hearing, you may also request a stay until the decision of the hearing. When requesting a hearing, you will want to 1) demand an administrative hearing (APS hearing); 2) request a driver’s license suspension or revocation stay; and, 3) demand all discovery (including police reports, breath and blood tests, etc.) the DMV plans to introduce into evidence. If you need help completing the Request for DMV Hearing form, please contact our DUI law office. When you call, be sure to let us know that you need a DMV hearing request and we will be happy to fax the request at no charge because we want to make sure your rights are protected. Refusing a blood or breath test comes with its own set of penalties, regardless whether a warrant is obtained and the evidence is admissible. In addition to an enhanced sentencing for a refusal allegation, the DMV suspensions are considerably worse. If you are facing a refusal DUI, do not try to represent yourself. Instead, contact us now to discuss your rights regarding your DUI refusal charges. We understand the DMV consequences, as well as the court penalties. We will work hard to fight the refusal charges you are being accused of in Fresno. We will make sure you obtain the very best defense and work on finding solutions for your DUI case. Discuss your refusal case now by contacting our DUI law firm.